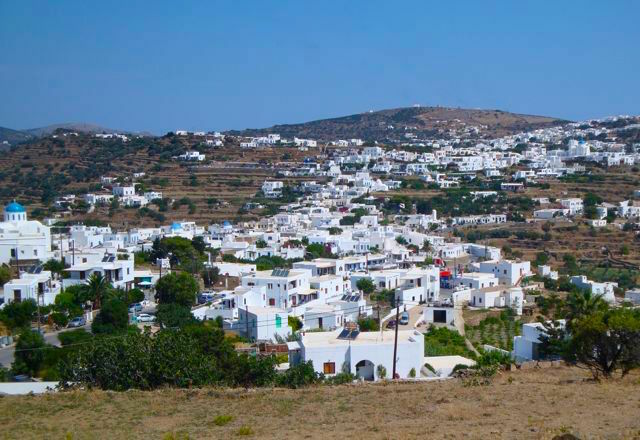 Apollonia is the capital of Sifnos and is actually a collection of villages of which Apollonia is one. The others are Artemona, Ano Petali, Kato Petali, and the notorious Exambala, known for it's wild inhabitants and festive evenings. The name Exambala came from the Turks when they occupied the island. It means 'trouble at night'. Though it is not as wild as it once was when the Turkish police had to make their nightly visits, there are still some local hotspots though things seldomly get out of hand. Artemona is where the wealthy islanders built their mansions which you can see by parking in the lot off the main square and taking a walk through the village. 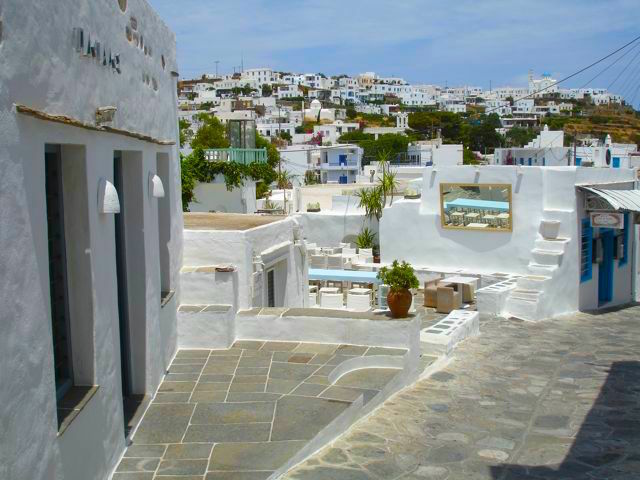 Most of the nightlife takes place in Apollonia which has a "backstreets of Mykonos" feel to it, without the pretension. There are bars, cafes, boutiques and restaurants along a main street that is too small for any vehicle except a slowly moving motorcycle. Apollonia is in the center of the island and with the excellent bus service, all the beaches and other villages are easily accessable. There is a Cycladic museum in the tree shaded main square. 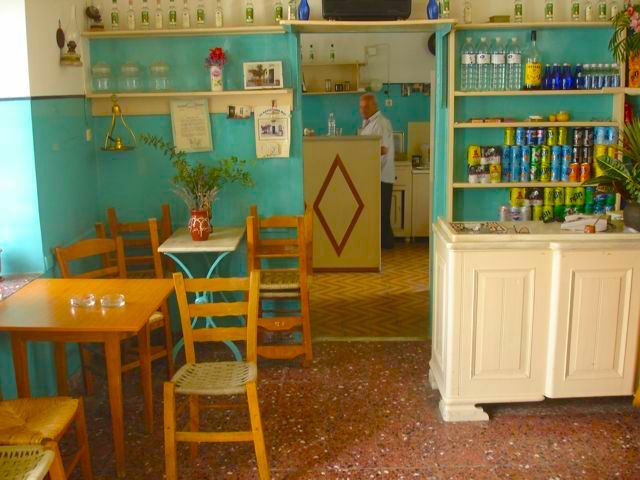 There are several clubs in Apollonia including the Cozi club and the Argo bars which play a mixture of western rock and pop music as well as Greek music. The weekend of August 15th is when the town is at its busiest, the streets so crowded you can barely walk at night as thousands of Athenians come to celebrate the name day of the Virgin Mary by getting drunk and partying all night long. But apart from that period, Apollonia is a pretty quiet place. There are many historical churches in the upper villages, some large and others very small, but all beautiful inside and out. When you walk through the back streets you never know what may be around the next corner. Many of the churches have panagiris, religious festivals, commemorating the particular saint of that church. And with 365 churches, that is a lot of panagiris. Chances are there will be one when you visit. The most popular is the festival on the top of the mountain that towers over Apollonia at the Monastery of Profiti Ilias (Prophet Elias) when most of the village walks up that mountain while the people of Artemona climb to the monastery of the same name that sits above the bay of Kamares. The festival is the 20th of August and you can ask about it at your hotel. 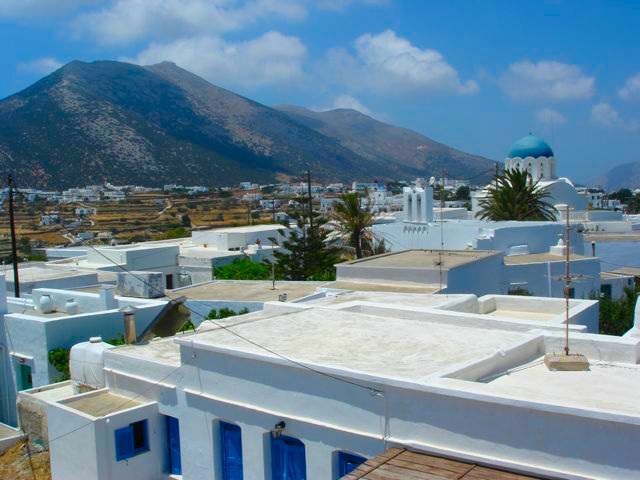 There are all sorts of traditional shops on the back streets, particularly in Artemona and Apollonia, but perhaps the best part of wandering these back streets is coming upon an area that makes you realize that even though this is the capital of the island of Sifnos, you are still out in the country. There is a post office and an OTE phone center and a supermarket or two and several stores selling traditional baked goods and products from Sifnos. If you want the experience of living on a traditional Greek island instead of being among the tourists and you can survive without being on the beach I recommend staying in Apollonia or one of the other villages. You will find that the climate up here is very different with cool breezes that can come from any direction. 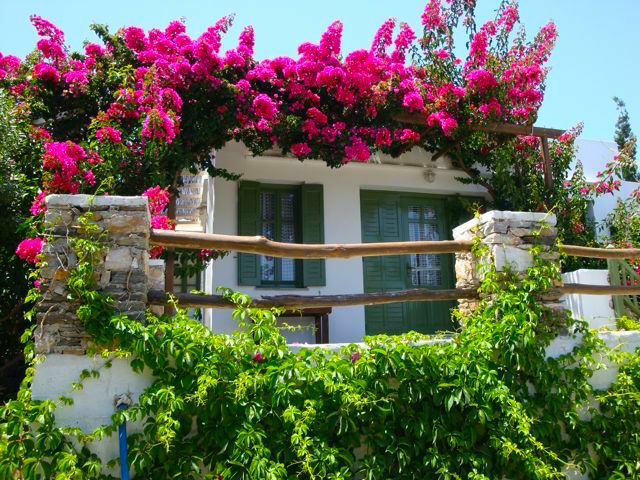 You will also find yourself living among Greek island villagers, rather than a tourist environment.